It's been a while since my last post. As usual I've been keeping my self pretty busy putting lots miles on my CR-V and filling up my GPS and hard drive. Unfortunately, all of this activity has gotten in the way of my writing (It's a nice problem to have). First off, I want to mention my new photography website www.dhmphoto.com. This site focuses on some of my favorite photography images and gives me an opportunity to showcase my photographic work. 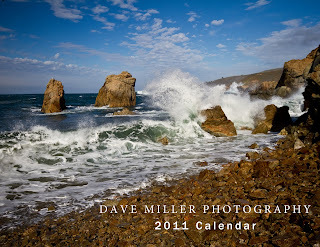 One of my recent creations is a 2011 Calendar. The calendar is available features 13 of my favorite photos from the past year from locations all over the state (Bay Area and Beyond!). You can see a preview of the calendar by clicking the 2011 Calendar link at www.dhmphoto.com (or just click the calendar image to the left). Calendars can be purchased for $20, however, there are only have a limited number available, so get your order in soon before they are gone. Don't hesitate to contact me if you have any questions. Okay, enough of the marketing and sales pitches. 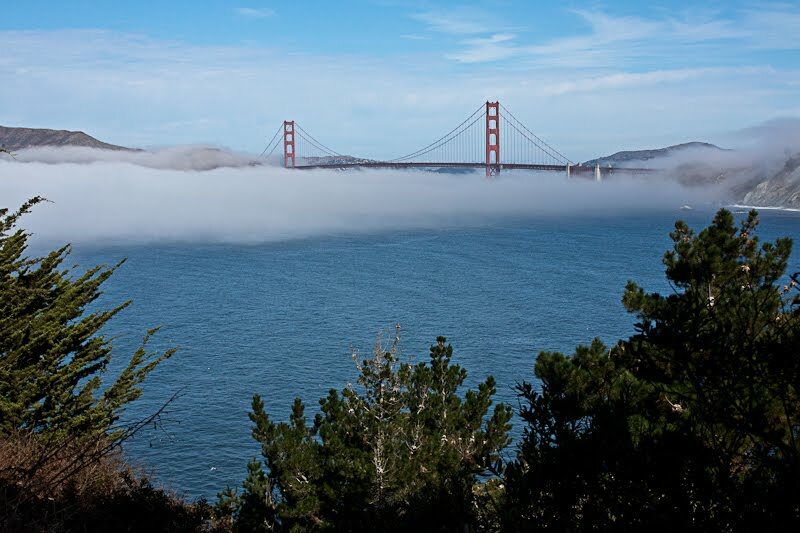 Here's a few quick tips to some great Bay Area hiking locations for this time of year. Land's End Coastal Trail in San Francisco - The Fall months can be one of the best times of the year to visit San Francisco, especially when Indian Summer keeps coming back. In fact, this weekend's forecast looks to be perfect! One of my favorite hikes in the City is along the northern coastline of San Francisco's inlet providing excellent views of the iconic Golden Gate Bridge from outside of the gate. The trailhead is on El Camino Del Mar near Lincoln Park and the easy trail goes all the way to the Sutro Heights Park and the Sutro Bath Ruins if you choose to trek the full 2+ miles. Along the way, stop at Mile Rock Beach and enjoy the sights of the rocky beach (sorry no sand). You can see more details on my trip report using the link above. It hasn't yet been added to the Backpacker magazine web site. Tomales Point Trail in Point Reyes National Seashore. 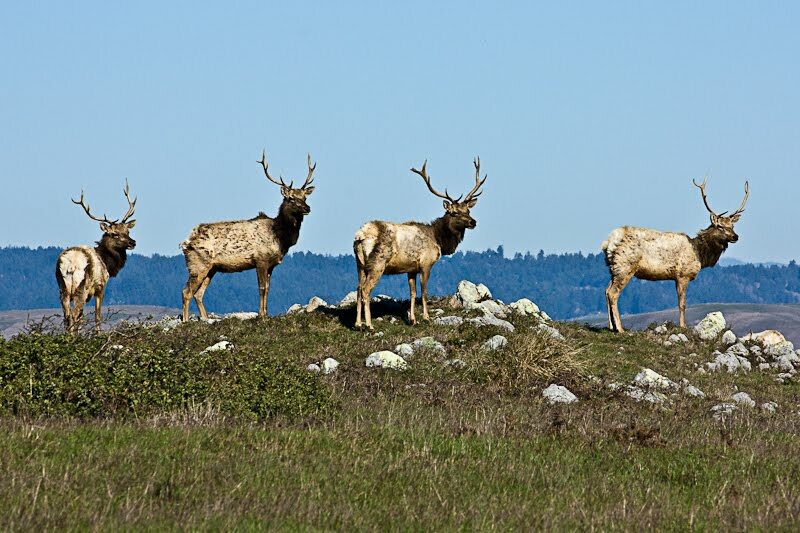 I've written about this trail before and now is the time to check out the Tule Elk along the Tomales Point trail. It's rutting season and it's quite an experience to be among these magnificent creatures. There are more than Elk at Tomales point too, be on the look out for weasels, coyotes and many sea birds. Again, this weekend should be perfect for a trip to Point Reyes. Check out the link for more information. Highland Trail Loop - Loch Lomond Recreation Area in Felton. 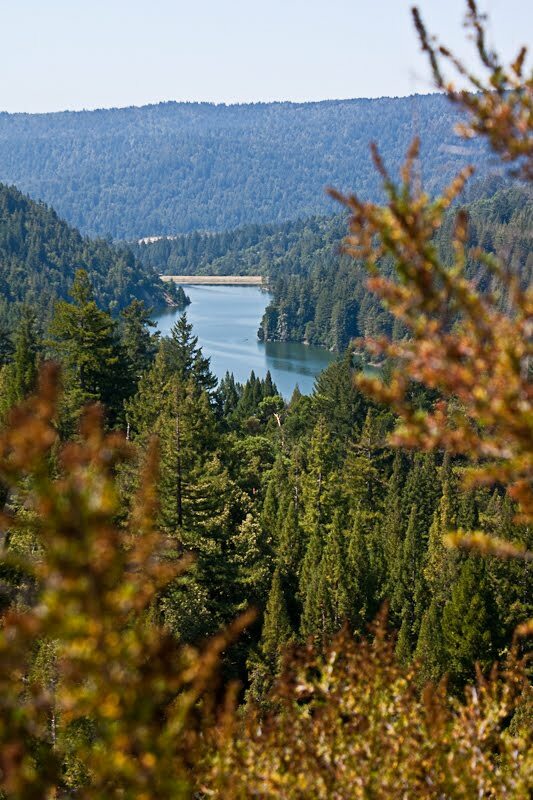 Tucked away in the Santa Cruz mountains is a great lake with a Scottish name - Loch Lomond. The Highland Trail climbs about 900 feet and getting to the top can be a bit strenuous, but rewarding. Once at the top, the trail winds through some redwoods and then hugs the lake shore for a very pleasant stroll back to the marina trailhead. This hike is a good workout and also provides great scenic opportunities. Check the link above for more details including directions to the trailhead. Well, I hope this gives you some encouragement to get out and explore our incredible outdoor opportunities we have in the Bay Area. I would love to hear from you, especially if you go out to any of these places.